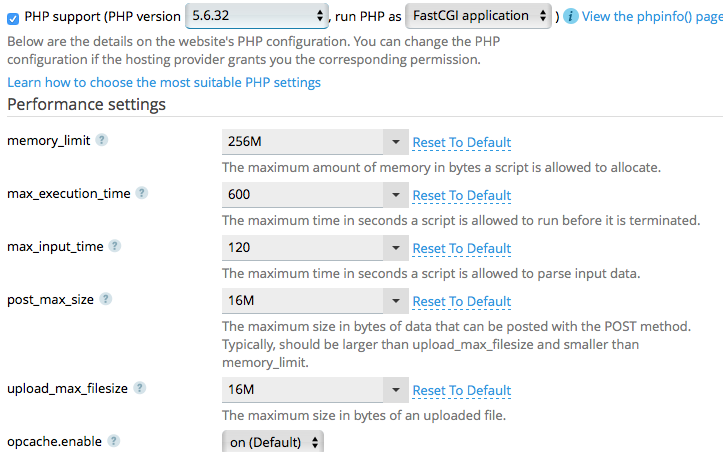 I am having issue on PHP where my app is trying to run a php backup file and suddenly getting HTTP Error 500 Code. I have checked the logs and this what it saying. Anyone knows how to fix this? I'm really stuck in here and can't find solution in internet. Hope anyone could share their knowledge. I managed to solved this by adding FcgidBusyTimeout . Just in case if anyone have similar issue with me. After checking the wrapper scripts and Apache2 settings, I realized that /var/www/ did not have accordant permissions. Thus the FCGId Wrapper scripts could not be read at all. drwxrws---  5 www-data     www-data     4096 Oct  7 11:17 . For my scenario chmod -o+rx /var/www was required of course, since the used SuExec users are not member of www-data user group - and they should not be member for security reasons of course. The famous Moodle "replace.php" script can generate this situation too. For me it was taking ages to run and then failed with a 500 message in the browser and also with the above error message in my apache error log file. Then I restarted Apache and tried to run my replace.php script again. Fortunately this time the script instance ran to completion, so for my purposes this served as a solution. I had this issue and realized that the file cgi-bin/php-fcgi had no execution rights. It had 644 mode while is should have 755 mode. Setting the correct mode was impossible (probably because the file was opened or sth), so I copied that file from another domain directory where it had proper rights already set and that fixed everything. I came across this one while debugging a virtualmin/apache related error. In my case, I am running virtualmin and had in my virtual machine's php.ini safe_mode=On. In my case, I simply set safe_mode = Off in my php.ini and restarted apache. What does the "premature end of script headers" error mean? That error means that the FCGI call was exited unexpectedly. In some cases it means that the script "backup.php" did crash. If the crash of a script was the cause, fix the script so that it does not crash. Then this error is fixed, too. To find out if and why a script crashes, you need to debug it. For example you can check the PHP error log. Errors logged to STDERR normally go into the error handler of the FCGI. I increased max execution time to 600 seconds job done ! I had the same problem with a different and simple solution. Simple: I didn't install the php5.6-cgi packet. Then use service apache2 reload to apply the configuration. As already mentioned this could be happening due to fcgi handler permission issues. If you're using suexec - don't forget to check if apache has this module enabled. Given an increase in memory, the issues went. I think a backup plugin Updraft on wordpress was perhaps over zealous in its duty/settings. I got the same problem (with Plesk 12 installed). However, when i switched from execute PHP as FastCGI to Apache Module the website worked. Not the answer you're looking for? Browse other questions tagged php apache mod-fcgid or ask your own question.